A leading member of the opposition National Democratic Congress (NDC) and also a former President of the Tertiary Education Institutions Network (TEIN of NDC), Baba Musah has called on President Nana Akufo Addo to as a matter of urgency direct his minister for education to ensure the ghc10 being demanded by the Ghana Education Service before applicants who applied for employment during the October 2017 limited recruitment by GES is immediately halted without delay. In an article written by the NDC activist, he wondered why the already burdened unemployed youth of this country should be charged ghc10 just to know whether their applications were successful or not. He also questioned what these monies he described as ‘extortions’ would be used for by the Ghana Education Service. It will be recalled that not too long ago many Ghanaians expressed similar outrage and unhappiness when news broke that a total of about 85,000 people bought the application scratch cards sold by Ghana Immigration Service when the GIS knew then that the available vacancies were only 500. It’s evidently clear that the insensitive npp government under the leadership of President Nana Akufo Addo wants to take undue advantage of every recruitment process under this government to unnecessarily and inhumanly extort monies from the already suffering unemployed masses especially the unemployed youth of this country who finding it very difficult to make ends meet due to the hardships imposed on Ghanaians by the bad management of the Ghanaian economy. To start with, I have sighted letter purportedly coming from Ghana Education Service announcing to the general public the release of results regarding the 2017 limited recruitment by GES. Ghana Education Service which is under the direct supervision and monitoring of the Ministry of Education is telling applicants that before one could check to know the status of one’s application, i.e whether one is successful in the limited recruitment by the GES or not, one must first of all pay an amount of ghc10 upfront before accessing the online list of recruited persons. This in my candid view amounts to ‘extortions’ since one could only access the list of recruited person after payment is effected and President Akufo Addo must not allow this to go on. It will be recalled that just recently overwhelming majority of Ghanaians expressed their outrage and displeasure when news broke that Ghana Immigration Service sold over 85,000 scratch cards to prospective applicants who wanted to be recruited into the GIS when the authorities knew that the existing vacancies could not exceed 500 people. Each scratch card voucher costed ghc50 then. Many Ghanaians were angry that our government and people who are paid by our taxes could be that insensitive to the teaming unemployed youth of this country especially when the npp government came into power on the back of job creation for Ghanaians. One would have thought that the npp government would have learnt some useful lessons from the loud outcry from Ghanaians particularly the unemployed youth of this country but judging from the extortions the Ghana Education Service wants to perpetuate against the unemployed Ghanaian youth in the name of checking the results of the limited recruitment is totally UNACCEPTABLE and must immediately be stopped by the government. On what basis is the Ghana Education Service charging the applicants gh10 in order to access the results of the limited recruitment? What sense does it make to take ghc10 from an unemployed graduate who applied for recruitment and perhaps is not even successful or not given appointment? How different are these extortions from what the Ghana Immigration Service did to the applicants who wanted to be enlisted into the Immigration service? Per the release I have cited, before you can access the list of persons recruited, you need to pay ghc10 either through MTN, Tigo, Vodafone etc Mobile. After the ghc10 is deducted from your mobile wallet, a code is then sent to your mobile number. This payment voucher code is then used to log in at http://www.gespromotions.gov.gh. Why must GES charge someone to know whether he or she is recruited or not? This clearly is unacceptable and I want to call on well meaning Ghanaians to join hands and let’s fight against these extortions especially against the vulnerable unemployed youth of this country. 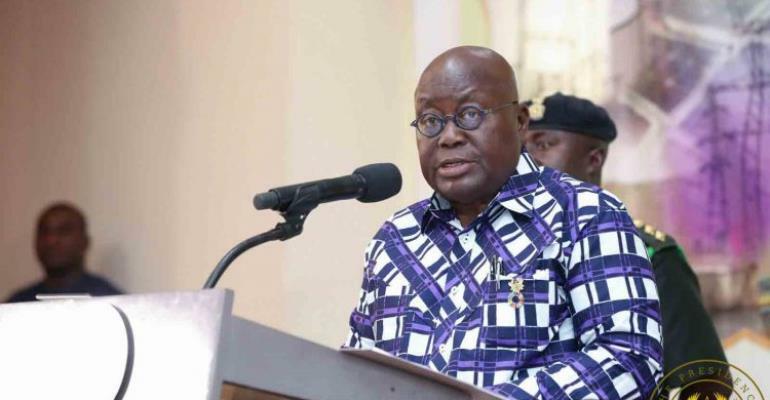 President Akufo Addo’s government must not take undue advantage of any recruitment process to extort illegal monies from the already burdened unemployed Ghanaians who are struggling to get three square meals a day as a result of the hardships imposed on Ghanaians by this insensitive npp government. Assuming that 100,000 unemployed Ghanaian youth applied during the 2017 limited recruitment by GES, and a unit charge for a code is ghc10, it means the Ghana Education Service will bagging not less than ghc1 million assuming all applicants decide to check. This is immoral and insensitive. Today, drivers are suffering, traders are crying, young nurses are being molested by police for picketing at ministry of health, today monies are being extorted from unemployed job seekers by a government that came into power on the back of job creation. These and many others certainly are not what Ghanaians were promised. Therefore the government through ministry of education must immediately arrest these illegitimate activities or extortions. Be a citizen not a spectator!